If there was any city in the US I could see myself living in ASAP it would have to be Charleston. I’ve taken two trips there – one a 13 person girl’s weekend & the other an unforgettable weekend with my bestie, Asha- and both of them rank among some of my most special memories! It’s like being in the city transports me to another time and place & all my day to day worries just slide right on off as I play in the city full of southern charm! What pieces in your closet are filled with special memories? I had the best weekend with my girlfriends- it was such a treat spending quality time with these special friends! But why do weekends have to go by SO fast?! I’m not ready for Monday again! Next Post Let’s Catch Up! 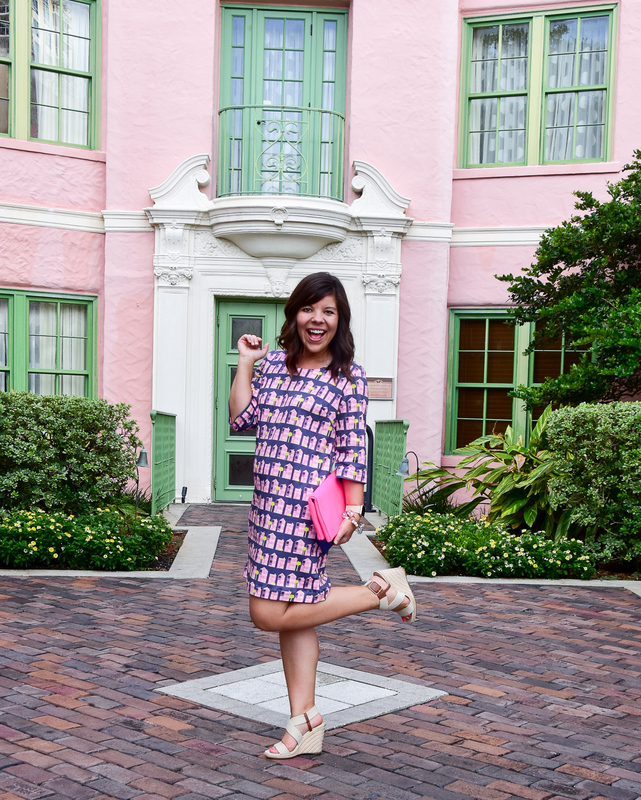 + $500 Nordstrom GIVEAWAY! I'm planning to take a trip to Charleston this fall and can't wait!!! 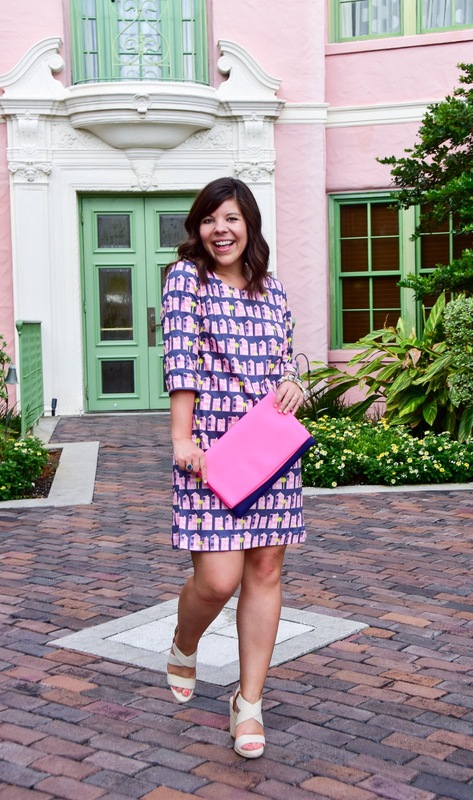 That dress looks adorable on you– so cute! You will absolutely love it! It's the most charming town ever! This dress is just too cute! Blaire and I have an annual trip to Charleston every year. It's such a great city! That sounds like one amazing trip! That is such a cute dress! The print is just so fun. Sounds like a cool shop. That is such a unique print! Love this! The weekend always goes by way too fast. Loving this bold look! Such a pretty pattern, definitely something to cheer me up on a Monday! OMG I can't with this dress! 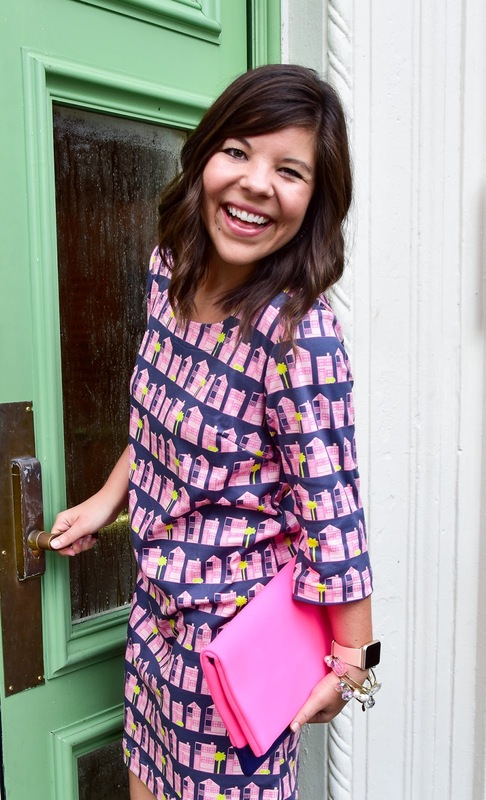 Too cute with the print and you styled it beautifully, Gentry! Isn't Borough the best?!? I love this print and style of dress on you! 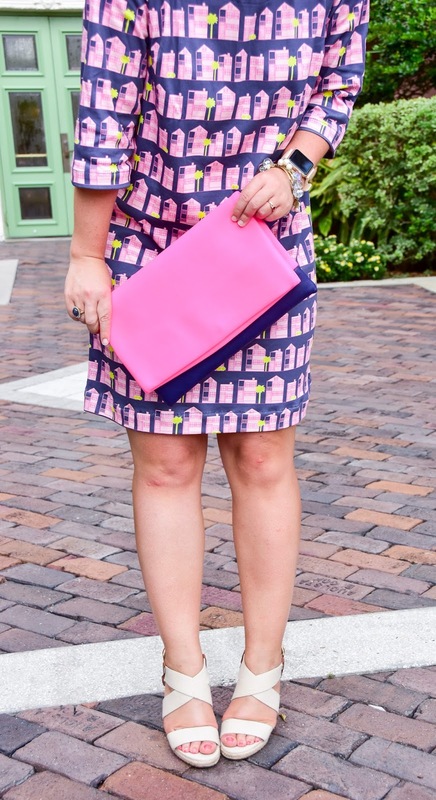 Very cute dress and pink clutch! 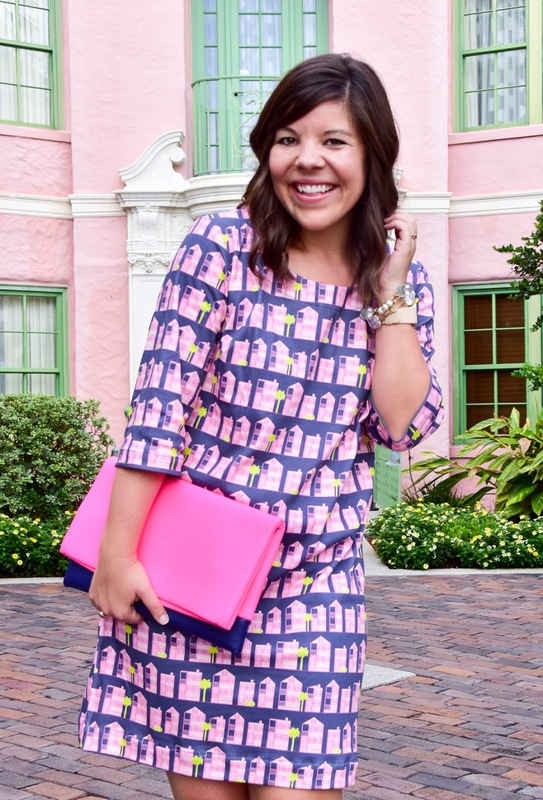 I love this cute little print and I'm still dying to visit Charleston! That's such a cute print! I can see why it brings back memories. My Trashy Diva dress makes me think of my trip to New Orleans. You are just way too cute! 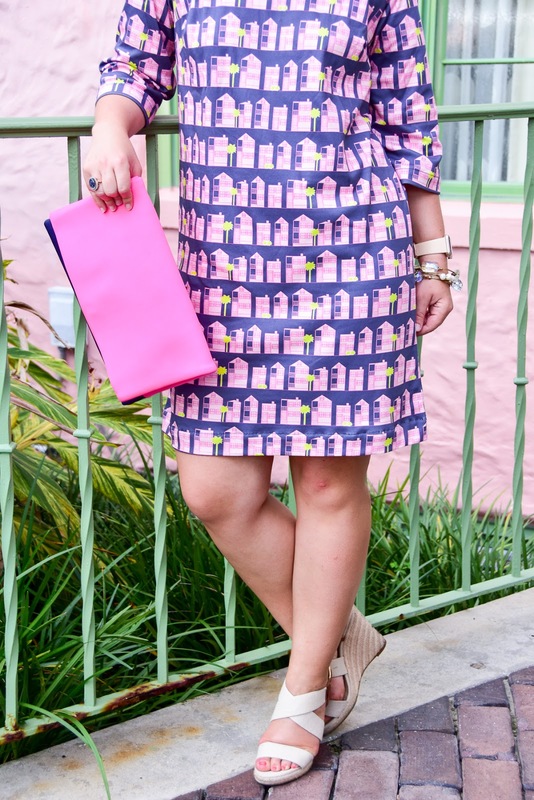 I really love the print on your dress and how it even sorta matches the house behind you. Such a fun location! Charleston is the best place for girls trips and I could totally see you living there 🙂 This dress looks so darling! Oh my gosh this dress was adorable. Your blog title is perfect! I'm so glad you love the dress like I do!! And thank you- I think it sums up my style perfectly 🙂 So happy you stopped by! 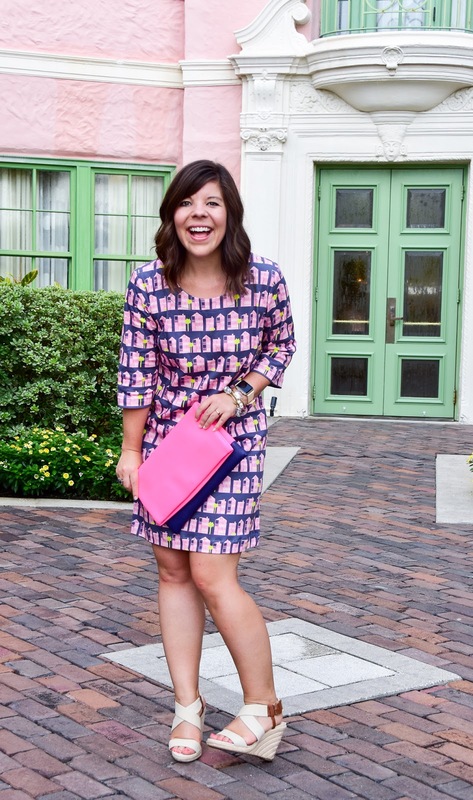 This dress is just adorable on you! I always love your bright and fun style! Cute printed dress! Beautiful look! 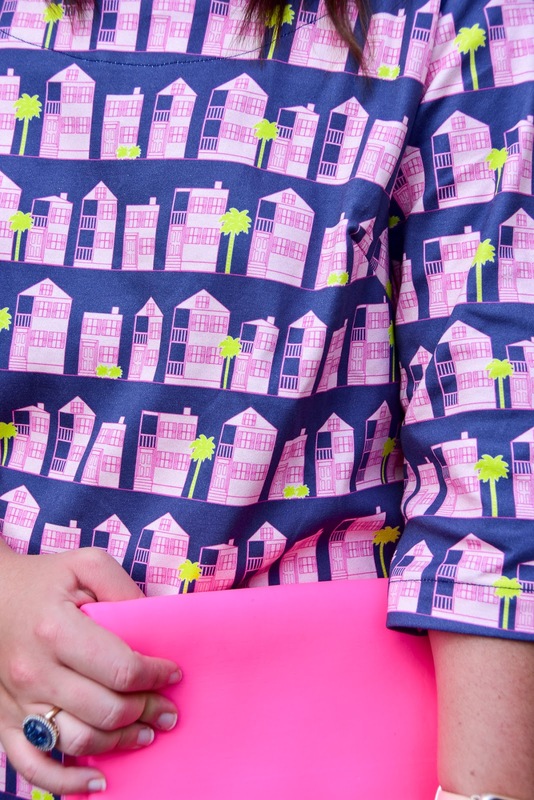 That print is so fun!